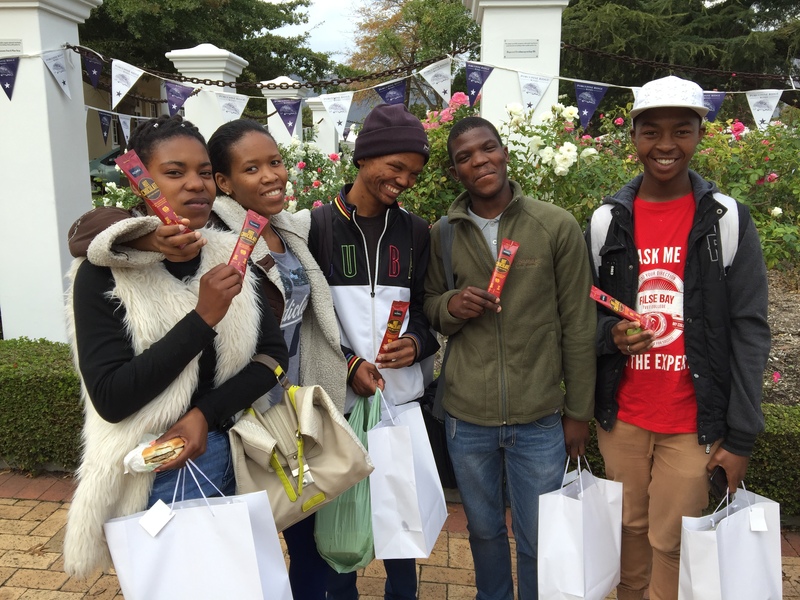 For the second year running, False Bay College students were involved in the Reading for Enjoyment Campaign at the Franschhoek Literary Festival, as organised by FunDza. Last year 15 eager students from the Fish Hoek Campus visited the FLF – the year that was increased to 30 students, and their lecturers, from both the Fish Hoek and Khayelitsha campuses. Each student attended three sessions, with the group being involved in some riveting and thought-provoking talks. FunDza has shared some details from some of the sessions, including feedback from students. The Magic of Story – Samantha Page chaired this session with storytellers Kapilolo Mahongo (Manyeka Arts Trust), Nancy Richards (Being a Woman in Cape Town), and Sindiwe Magona (Chasing the Tails of My Father’s Cattle) about how writing and sharing our own stories reveals our true selves and brings us closer to others. An event that will inspire young storytellers. Just Imagine – With literary journalist Karabo Kgoleng in the chair, Bontle Senne (Powers of the Knife), Nakhane Touré (Piggy Boy’s Blues) and Rosie Rowell (Almost Grace) share how imagination frees the mind and lets in empathy, creativity and vision.